Camp Metigoshe brings everything but the bunk beds! 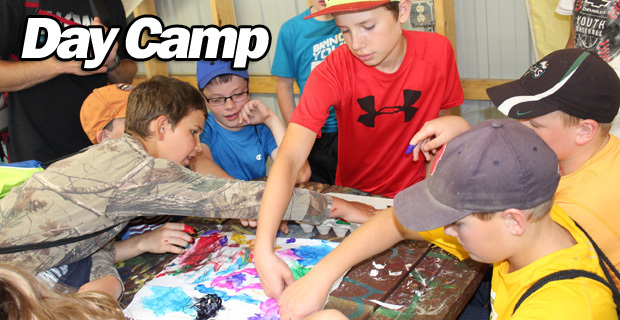 Bring the energy of Camp Metigoshe to your congregation through Day Camp. Camp Metigoshe counselors bring their spirit, their guitars, their Bibles, their game-playing shoes, and their crafts to more than 30 congregations each summer. Day Camp is for students in grades 1-6 and runs from 9 am to 3 pm all days except Friday, 9 am to noon. Some congregations choose to include a Thursday night lock-in experience for their older campers. Many congregations integrate a Day Camp celebration including a pot luck and worship led by the campers. In January, Camp Metigoshe will mail registration materials for summer 2018. We hope this schedule can help you plan now! Please call (263-4788) or email jenn@metigosheministries.com if you have any questions. We can’t wait to bring Camp Metigoshe to your community!